Samantha Dion Baker is originally from Philadelphia, where she grew up in a family of artists. She graduated from The Cooper Union in New York City and spent over twenty years working as a graphic designer. 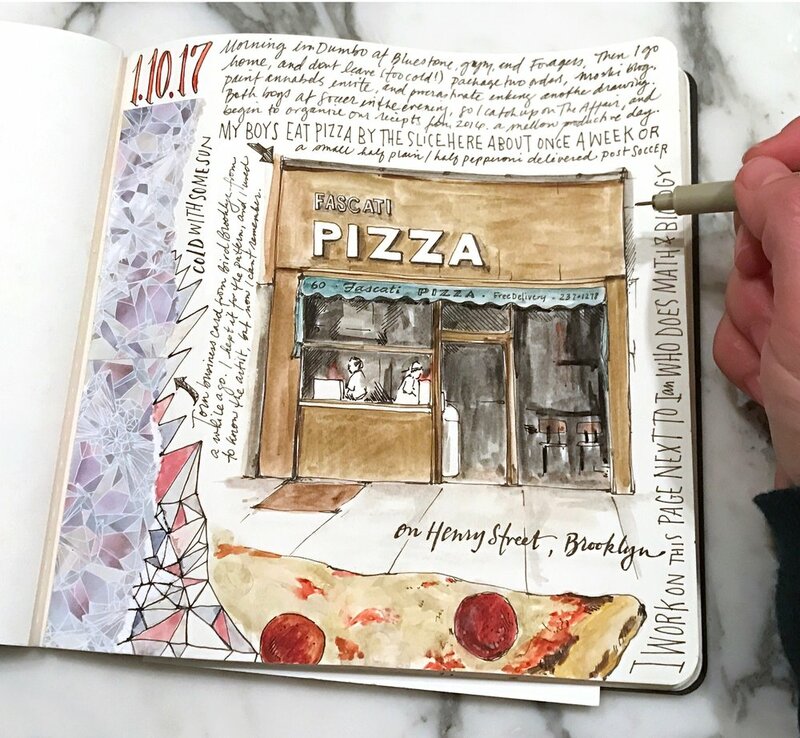 Now a full-time illustrator and artist, her favorite thing to do is wander the city streets and travel with her family, drawing all of the things she does, eats, and sees in the pages of her sketch journal. She lives and works in Brooklyn with her husband and two sons.